The idea of dreaming has always been central to motion pictures. For moviegoers, seeing a film is a dreamlike experience: You sit in a darkened theater and enter a dream world of the imagination. For actors, making it in Hollywood is a dream in a different sense: It's a personal dream come true. 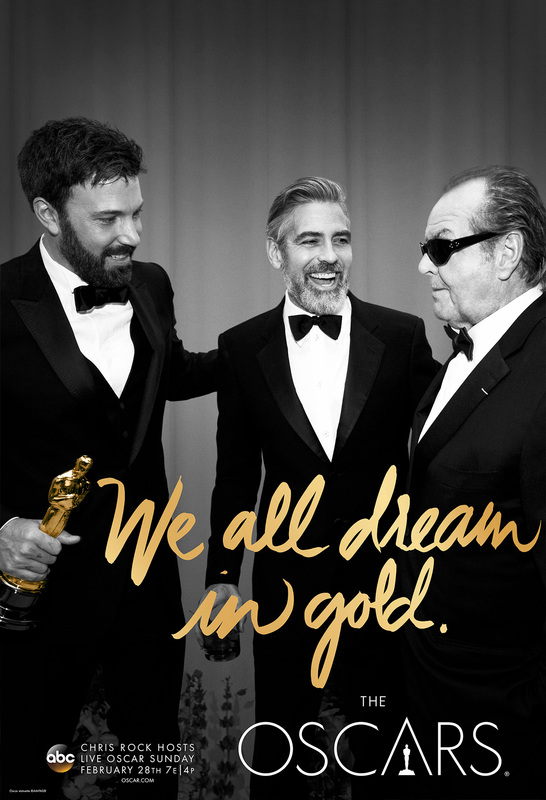 The Academy of Motion Picture Arts and Sciences folds both kinds of dreams into one message in its new ads, released Tuesday, for the 2016 Academy Awards. 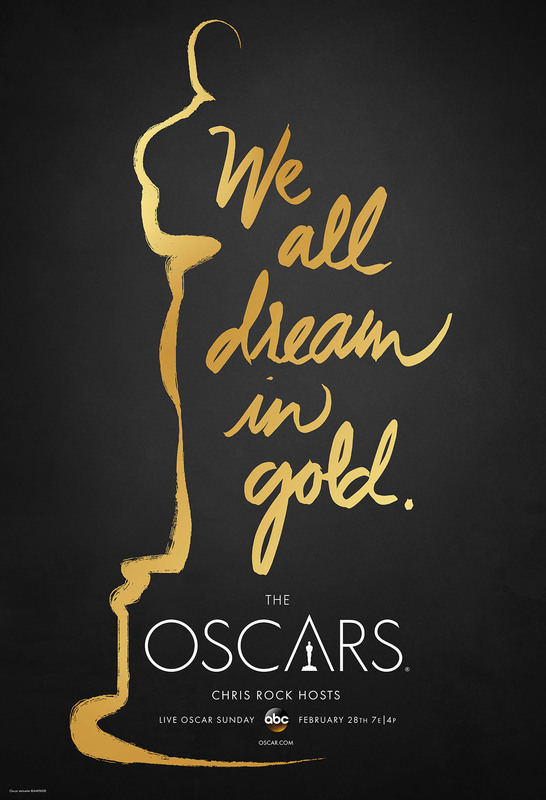 The tagline, written by Academy creative director Ford Oelman, is "We all dream in gold." 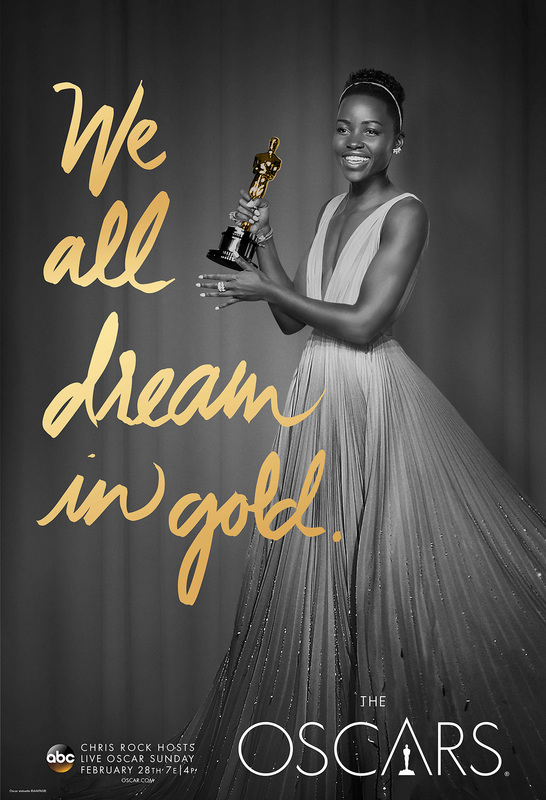 That line is written in scripted gold on a series of print ads featuring black-and-white photos of Hollywood stars holding their trophies at recent Oscars shows. 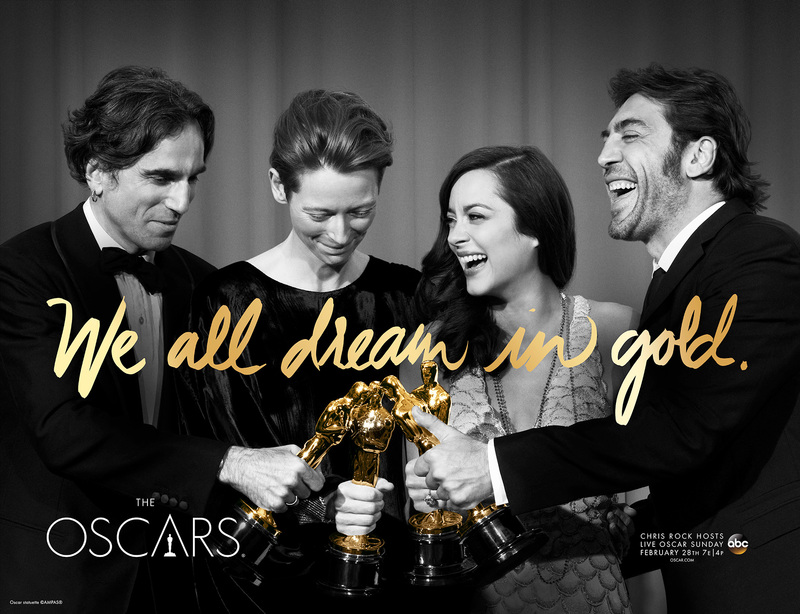 The ads, executed by agency L.A. from the Academy's concept, celebrate the actors and their Oscar victories. But they're also intended to salute the power of movies to inspire moviegoers to achieve their dreams as well. "We talk a lot internally about what the Oscars are about, and what they represent. 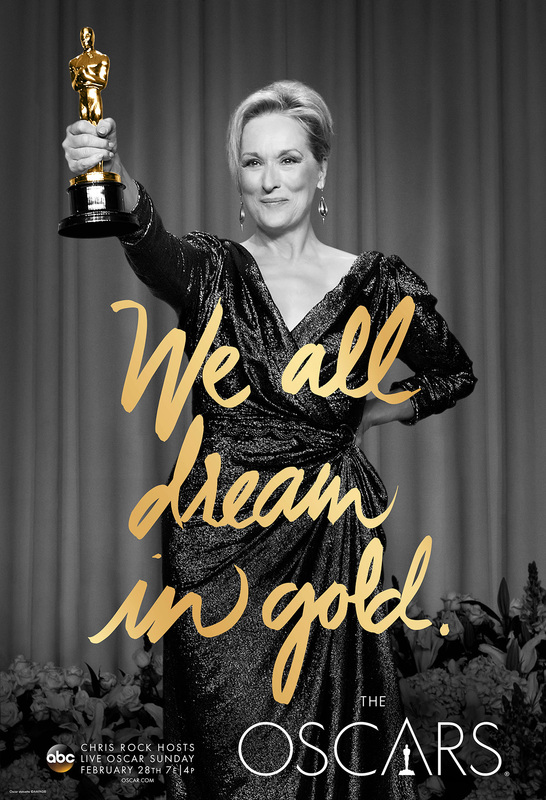 And it's about a symbol of excellence but also this idea of 'If you can dream it, you can achieve it,' " Christina Kounelias, the Academy's CMO, tells Adweek. "It's relatable in a number of different ways," she said of the campaign. "This was their dream—the dream of acting. But it applies to other people and other facets of their work, how they live their lives. It boils down to two things: excellence in your particular area, and dream realization." 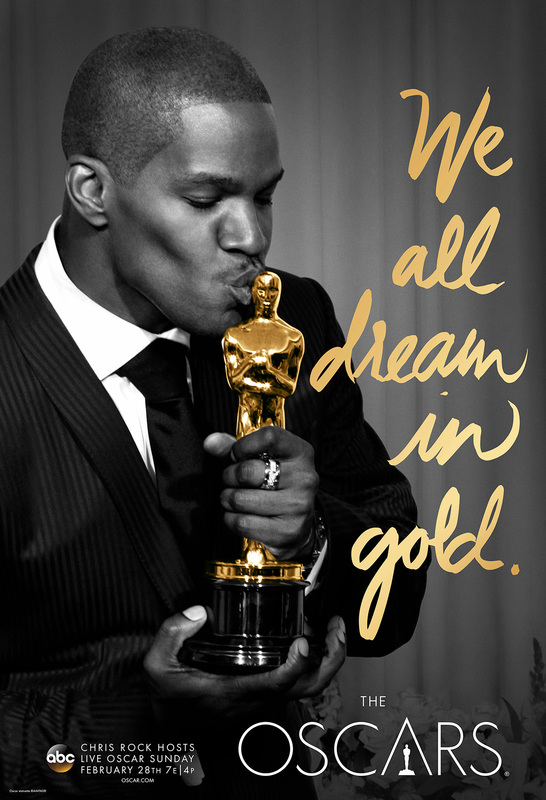 For the print ads, the Academy chose actors who are "recognizable and relatable," Kounelias said. The photos themselves are ones most people haven't seen before, she added. 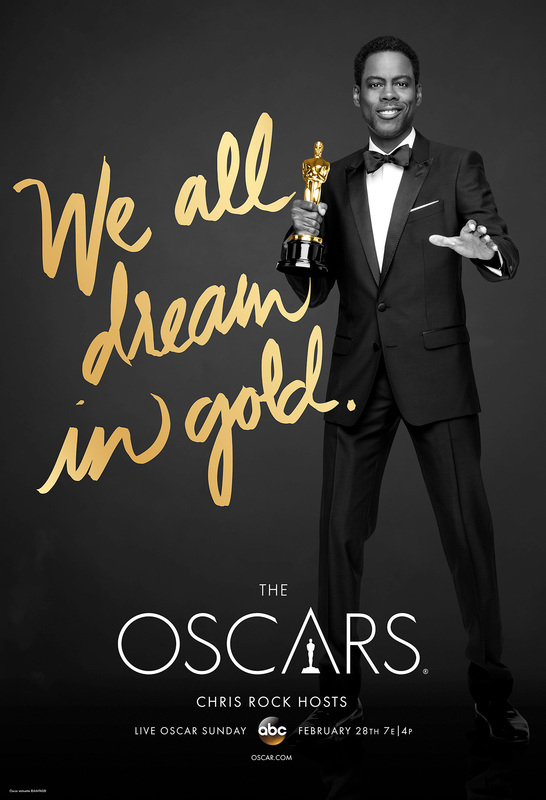 The Academy also unveiled a 30-second commercial on Tuesday featuring footage from some movies expected to be nominated, as well as a 15-second spot showing this year's Oscars host, Chris Rock, sprinkling powder on his hands like he's getting ready for a gymnastics routine. 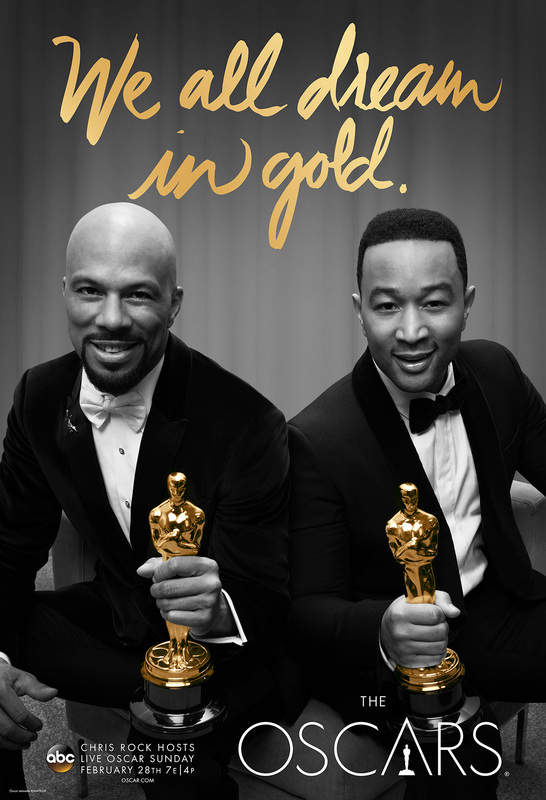 The spots were cut by ABC, which will air the Oscars on Feb. 28. "I think he's terrific," Kounelias said of Rock. "There's tremendous anticipation to see him. He's smart and funny, topical, edgy, and I think people want to see what he will say and do." Check out more of the print work below.